Wow! We were thrilled this week to learn that we’ve received a TripAdvisor Certificate of Excellence for 2015. What does that mean? Well, TripAdvisor awards that particular distinction on hospitality businesses that are well-established, popular, and consistently get excellent, independent reviews from TripAdvisor members. We couldn’t have done it without the amazing feedback that we’ve heard from guests over the past year, so if you’ve written us a TripAdvisor review, thank you! You’ve directly contributed to our success this year, and we can’t possibly express our gratitude enough. Haven’t had a chance to join us yet? Take a look at what past guests have had to say about our tours, and then see for yourself! We’re excited to hear what our guests have to say this year! Want to add your input? Drop us a line on TripAdvisor about your tour. We can’t wait to hear from you! Comments like these from guests keep us doing what we love to do– showing you the very best of Maui in style, comfort, luxury, and of course, with outstanding customer service. Come tour with us soon– you’ll be glad you did! Back in February, we started a photo contest, open to anyone taking a tour between February and April. We had a blast in the office checking out all of the photos that guests sent us. 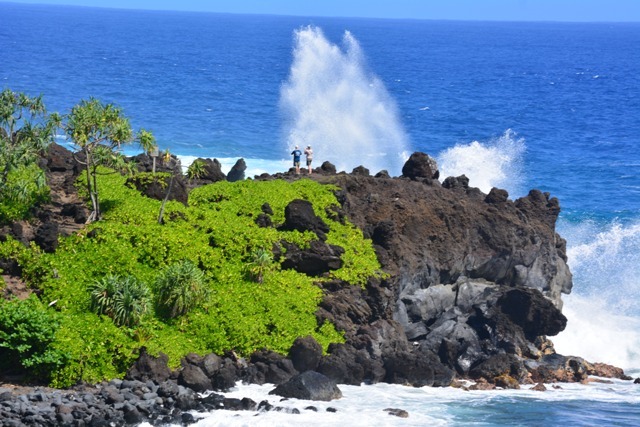 It’s really fascinating to see what inspires our guests while they join us on our luxury Maui tours. As April came to a close, we had a challenge picking our top three—but we did it! Check them out below. Waianapanapa Wave – James C.
Wow! This photo really took our breath away. We love the brilliant green against the stunning sapphire blue of the Pacific Ocean. This photo gives you a true sense of how powerful the ocean can be—you can almost miss the couple standing on the ancient lava flow. Congratulations, James! You’re our first prize winner! The Road – Carolyn M.
Carolyn’s photo was one of my personal favorites. 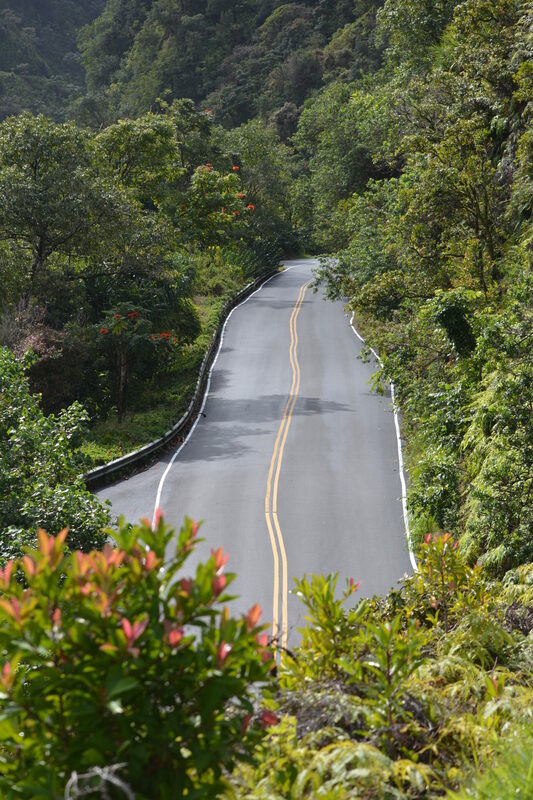 The contrast between the road and the natural flora surrounding it is really striking, and you can see how the famous Road to Hana works with the terrain, not against it. 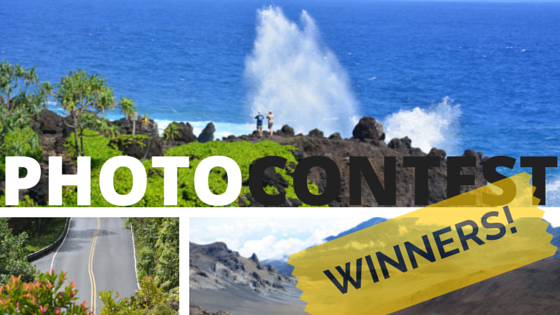 This unique photo earned Carolyn second place in our contest. 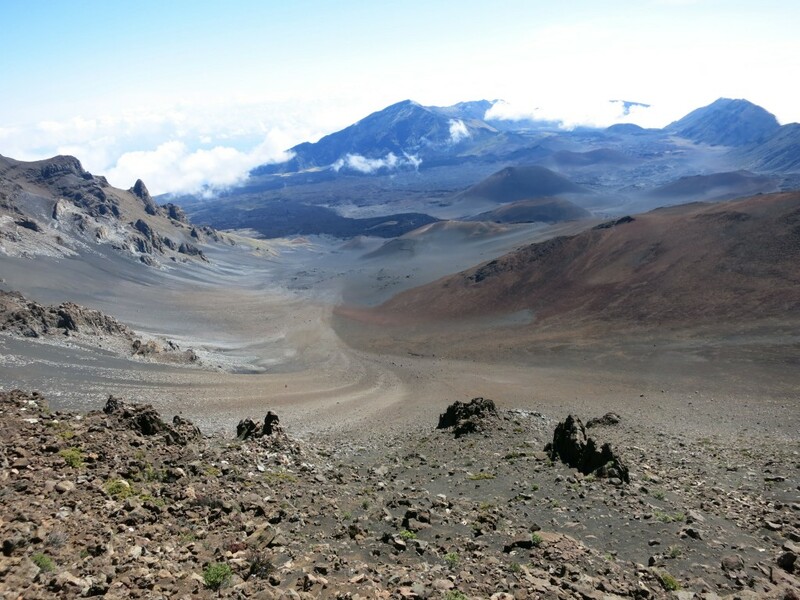 This beautiful shot of Haleakala captures it absolutely perfectly. Notice the variations in the soil color, the stark, desert-like landscape, and the clouds lying below the dormant volcano’s summit. 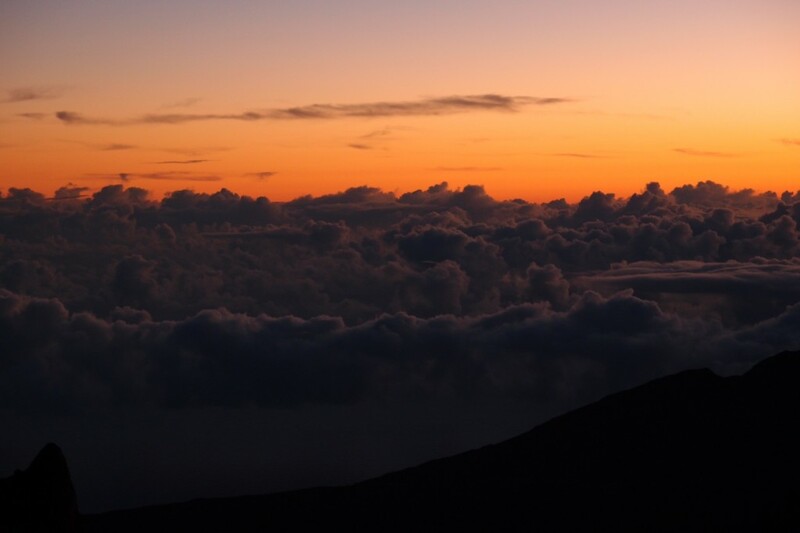 Arun’s Haleakala shot really makes you feel like you’re right there, “on top of the world,” in the House of the Sun. Congratulations on your third place win, Arun! I know—I’ve done a packing list before, but I’m sure you were probably thinking, “Um, duh! Of course I’m going to pack my swimsuit!” Okay, fair enough. Think of this as Packing 201, then—those little things you might never have thought of. While it may inevitable to have that “Ugh! 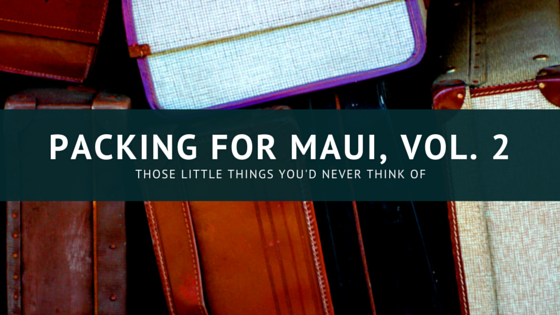 I should’ve brought ______!” moment while on your Maui vacation, these items might just help your time here run just a little smoother. Grab a few of these on Amazon before your trip– you’ll be amazed at how handy they are during a hotel stay! During our last vacation, my husband could not keep me out of the pool. Morning, afternoon, evening—I wanted to be in the water! If you’re like me, you’ll be spending as much time as possible at either the beach or the pool, and with that comes a wet swimsuit. After rinsing off in the shower, your options of where to hang your suit to dry may be limited. The towel rack is taken up by, well, towels, and maybe you don’t trust that handy drying rack on the lanai to stand up to a gust of wind. 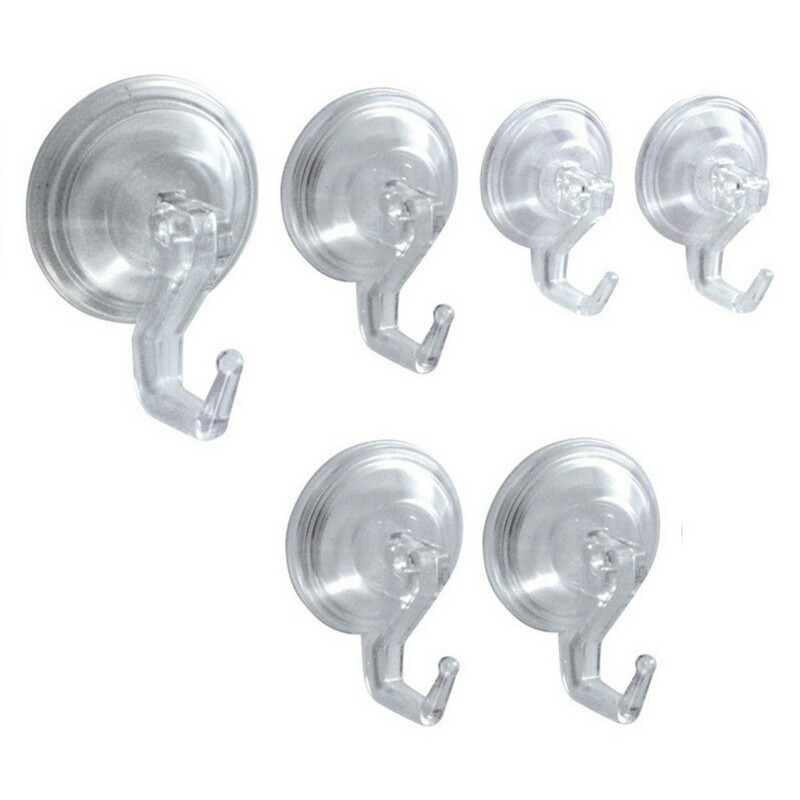 Enter the suction hook! Stick it to your wet shower wall, and voila! The perfect place for your suit to drip-dry out of the way. And at a little over a buck apiece, you won’t be devastated if you leave a few behind. Sure, the warm, balmy climate might make you sweat a bit more, and dusting on a little baby powder can be quite refreshing. However, the real reason for this must-have is sand! If you feel like it’s a never-ending battle to keep the sand at the beach and not in your rental car, condo, or hotel room, baby powder has your back. Take a handful, rub it on those sandy feet and legs, and watch as the sand falls right off! I hate sand with a passion (it’s why I rarely go to the beach, despite living on Maui), but the first time I tried this, it was life-changing. Grab a couple travel-size shakers before you leave, and pop one in each beach bag, backpack, and purse—you’ll never know when you’ll need to de-sand! Sure, you can get some while you’re here, but it’s easy to toss a stack in your suitcase. And trust me, you’ll be glad you have them! They’re great to stash a wet swimsuit if you need to make a quick change while out and about. You can collect those precious seashells in one without getting sand all over your purse or beach bag. Packing snacks for a road adventure, keeping leftover sunscreen from exploding all over your checked luggage, keeping your cell phone dry while you’re by the pool—you’ll use them for everything. Reusable, compact bags– like ChicoBags— make shopping on Maui a cinch! More bags? Really? Yes. As you may know, Maui has a plastic bag ban. While it’s great for our ecosystem, it sometimes can cause a bit of a panic at certain check-outs. At a lot of places, you’ll get a paper bag, but at other stores (like Walmart and Target), you can either buy one of their cloth tote bags, or carry your purchases out by hand. While it’s inexpensive to grab a bag or two while shopping, they’ll take up space, and it’s not likely you’ll want to pack them to take home. 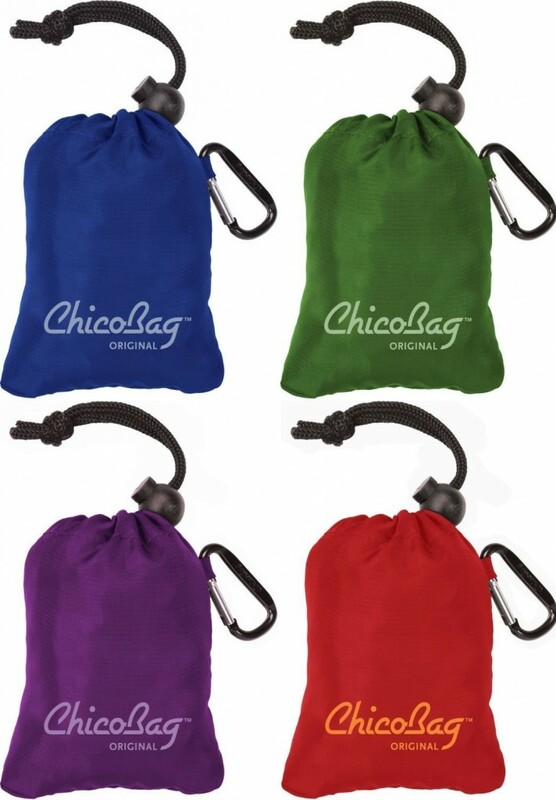 I love ChicoBags—they fold up into themselves and don’t take up any more space than a hand sanitizer in your bag. With cute patterns and a handy carabiner clip, you’ll be one step ahead of the game while shopping on Maui. These will have to go in your checked luggage, but this miniscule addition will be an important one. Once you land, transfer them to your day bag, and you’ll be glad to have them. If you purchase a cute pareo, or need to grab an emergency pair of sandals or a sun hat, you’ll love having them to easily clip hang tags without risking damage to your items. Find a hanging thread on your shirt while you’re walking into dinner? No problem! They’ll come in handy too if you find some split ends after a few days in the sun. While you’ll definitely think of the obvious, planning ahead for those inevitable surprises along the way while you’re on Maui is crucial. While these are solutions to really slight inconveniences, it’ll feel great to be covered for even the little things while you focus on what’s important: relaxing, adventuring, and just enjoying all that Maui has to offer. Imagine you and your sweetheart starting a new chapter above the clouds atop Mt. Haleakala. Monte and Simone aren’t the first couple to begin their engagement on one of our tours. Plenty of people have chosen to propose while overlooking the incredible, moon-like landscape of Haleakala. The perfect moment? Just as the sun illuminates the sky in thousands of sparkling pastels. The colder weather makes for perfect post-proposal snuggling, and the un-spoiled vistas of Mt. Haleakala are a wonderful setting for photos. The charming seaside town of Lahaina has a romance all its own. 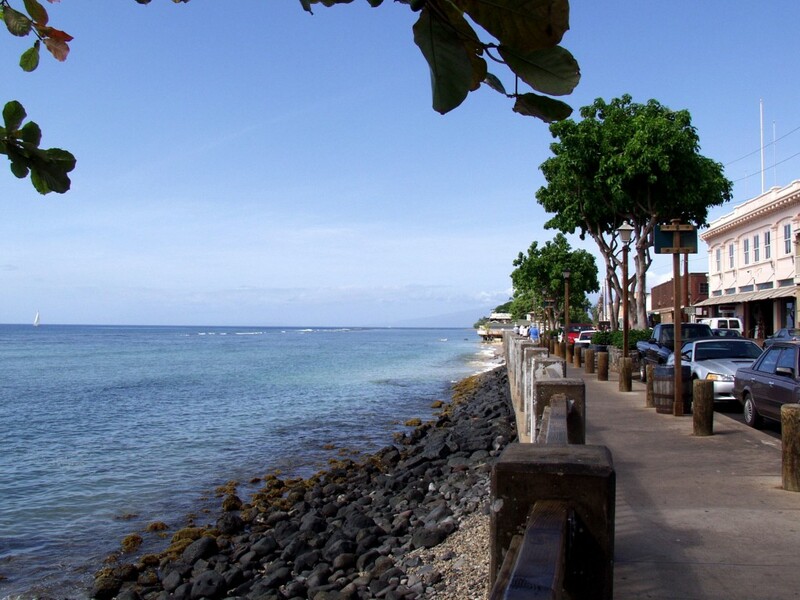 If you and your honey are taking an evening stroll around Front Street in Lahaina, take a moment to stop by the seawall, overlooking a huge expanse of calm, still ocean. Just as the sun sets, and the water is covered by dots of gold, ask that all-important question in one of the prettiest settings imaginable. If you’re traveling with friends, ask someone to snap a picture of the two of you sitting on the wall—and then to capture those priceless reaction shots! Afterward, you’re in one of the best shopping and dining locales on the island, so it’s time to grab a celebratory drink! The world-famous I’ao Needle will be a landmark that holds very special meaning for you and your partner! 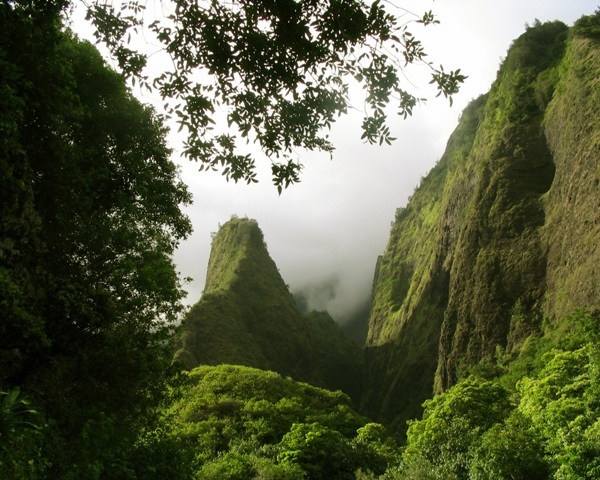 If you spend any time at all in Central Maui, you owe it to yourself to visit I’ao Valley. You can spend some time in Kepaniwai Park, and learn about Maui’s first settlers from all over the world. Farther up, though, near the Nature Center, is a long, secluded hiking trail, which is a perfect “get away from it all” location. I love packing a thermos of coffee and a picnic breakfast, and going on an early-morning hike with my husband. Being surrounded by tropical fruit trees and unique foliage just exudes romance, and it’s a great place to ask that burning question to your sweetheart. Out of the three spots, this is the most secluded, so if you’re not into onlookers applauding this intimate event, it’s definitely worth looking into. 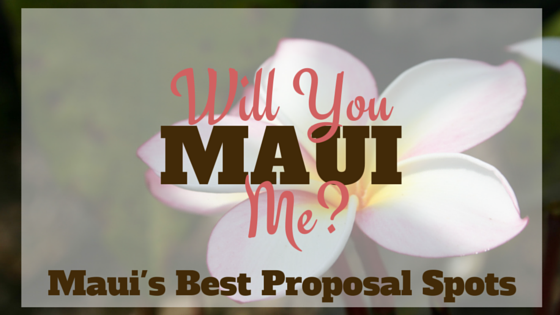 This is by no means meant to be an exhaustive list, and really, just about anywhere you choose on Maui will be a perfect spot for an unforgettable proposal. Did you get engaged on Maui? Let us know where in the comments! P.S. Got an idea in mind, and need some help? Drop us a line! Whether you just need someone to snap photos while on your tour, or are looking to plan the perfect private tour before you pop the question, we love being a part of your Maui love story!